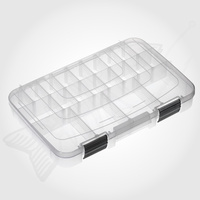 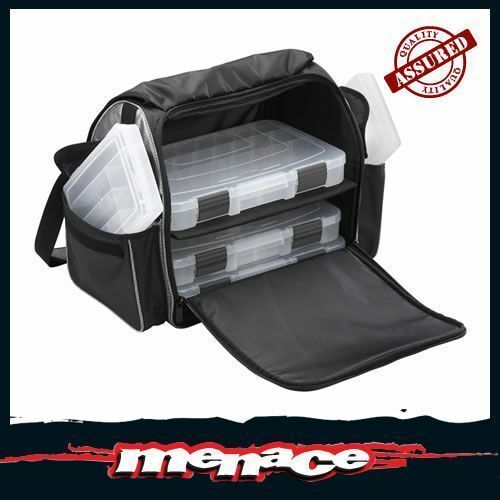 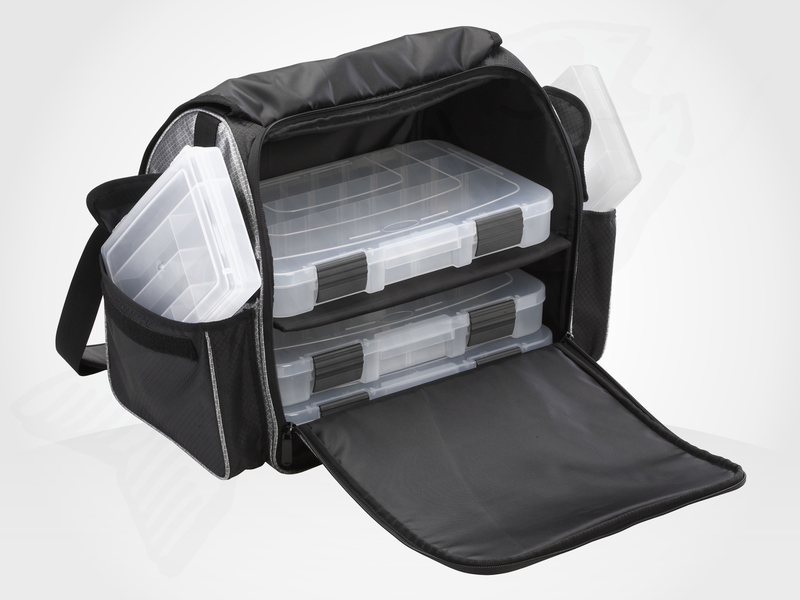 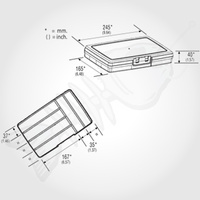 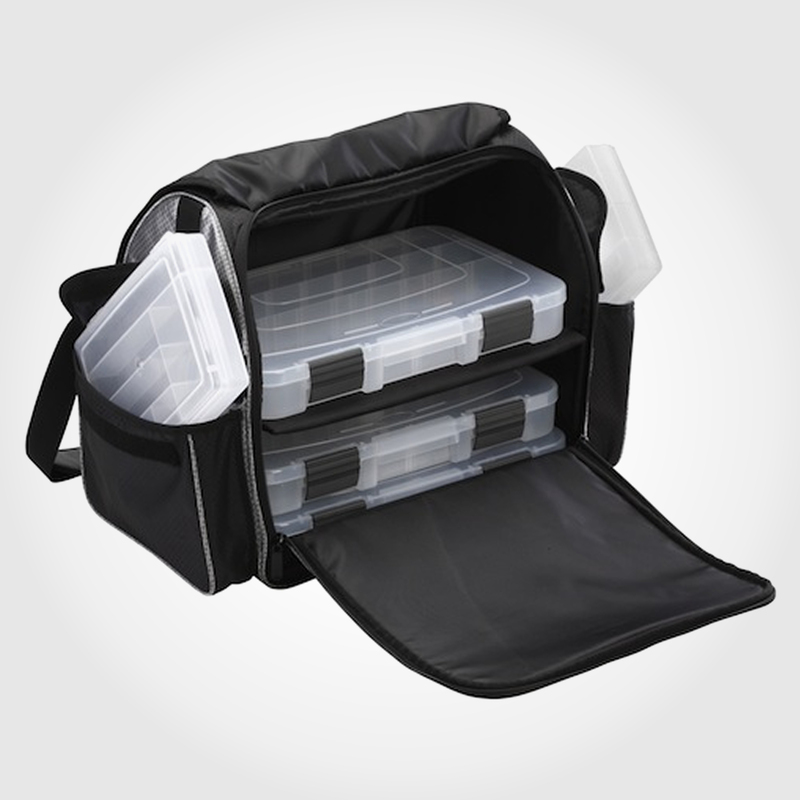 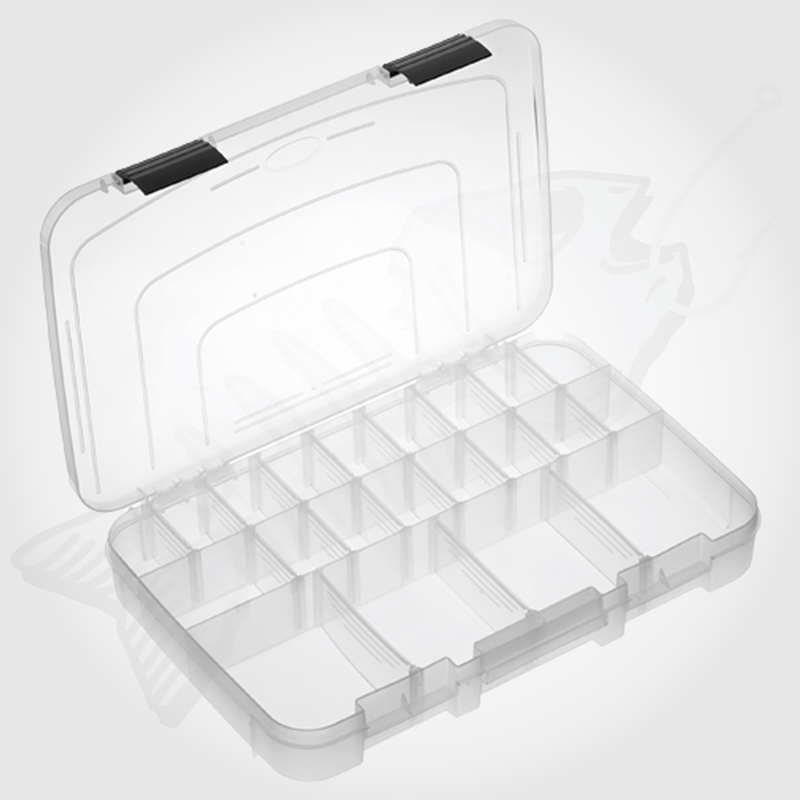 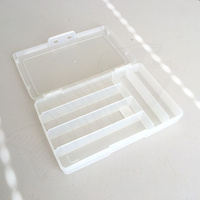 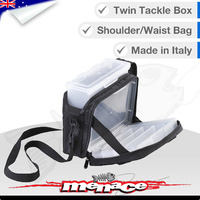 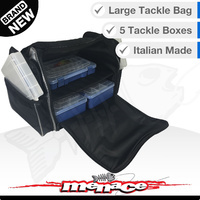 This Premium Panaro Shoulder Bag comes with 5 clear Tackle Boxes. 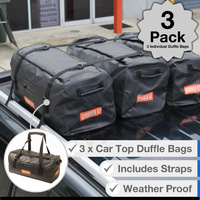 Technical waterproof fabric dufflebag with padded compartments. 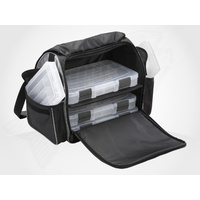 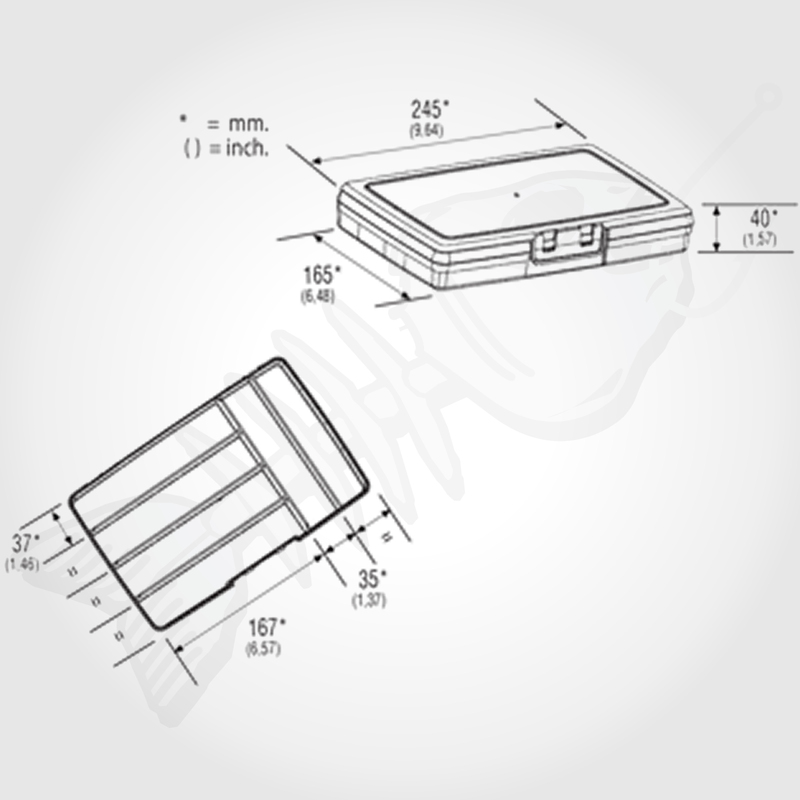 It has two side pockets and a divider in the main compartment. 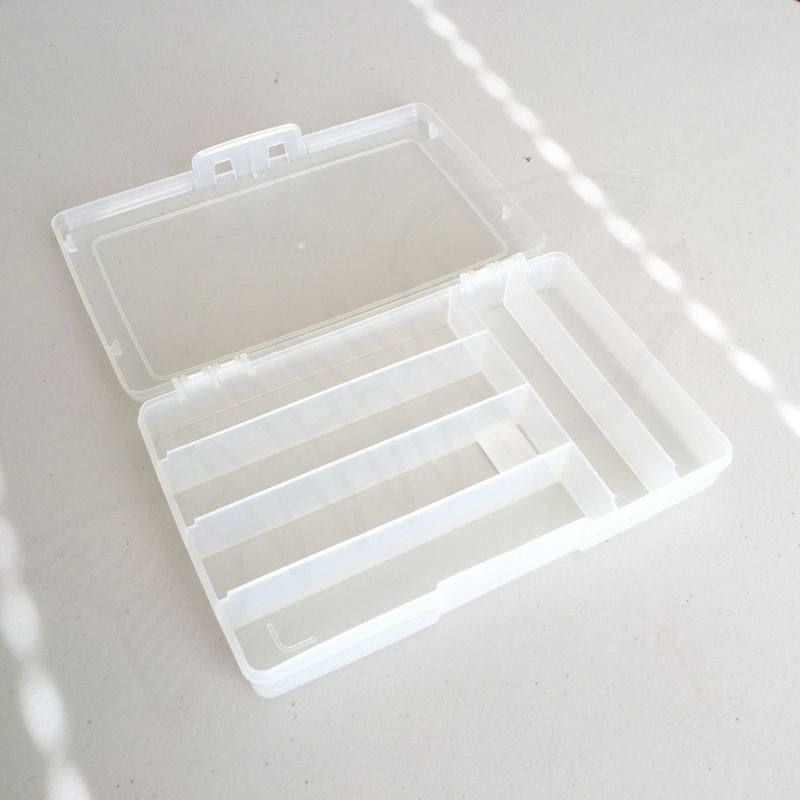 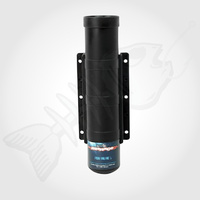 Plenty of room for bait, or your lunch above the tackle boxes. 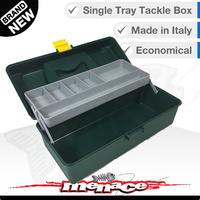 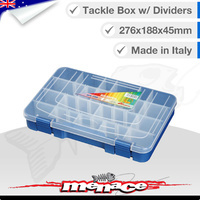 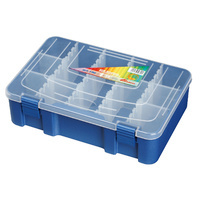 Includes 3 large tackle boxes and 2 small tackle boxes.